Netflix has just premiered their latest film, The Silence which is based on author Tim Lebbon’s novel The Silence. Be sure to head over to my YouTube channel to check out my thoughts on the film. When the world is under attack from terrifying creatures who hunt their human prey by sound, 16-year old Ally Andrews (Kiernan Shipka), who lost her hearing at 13, and her family seek refuge in a remote haven. But they discover a sinister cult who are eager to exploit Ally’s heightened senses. 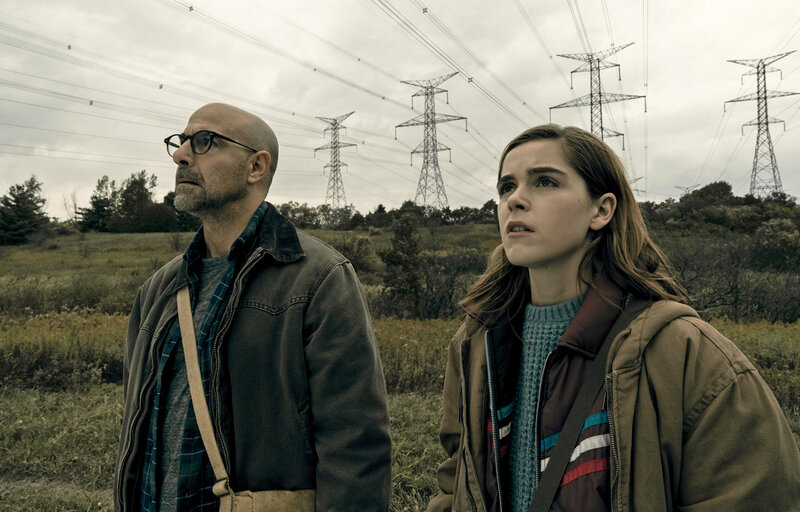 Based on the acclaimed novel, THE SILENCE is directed by John R. Leonetti (ANNABELLE) and stars Stanley Tucci, Kiernan Shipka, Miranda Otto, John Corbett, Kate Trotter, and Kyle Breitkopf. Watch on April 10th, only on Netflix. Have you seen Netflix’s The Silence? Share your thoughts on the film in the comment section below! Another great review. I was one of those like what is this another Netflix movies similar to Quiet Place. I still found it to be very enjoyable film. Some of their movie are hit or missed, you got 10 mins to decide your fate! One of my favorite scenes were in the third act when a particular item was used in a very creative way.